Good Morning, I hope you all had a wonderful Thanksgiving we sure did…great time with family and friends this year! Now that the house is empty and I've had a good nap I was able to go downstairs and create! 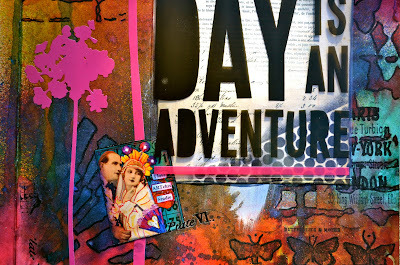 Today I have a project using the Creativity Add-On from the November Kit at Scraps of Darkness. This is my first attempt at an art journal and I found so much inspiration on youtube, beautiful work out there. 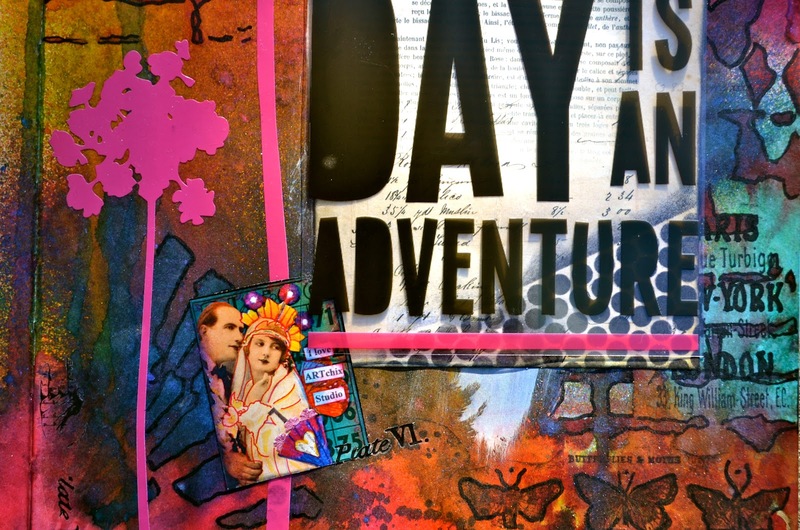 I used lots of mists, inks, and stamps for this and loved it!! I can't wait to full this journal up. The Dylusion's Creative Journal pages are made for just this purpose and they absorb and dry very quickly which makes it a pleasure to work with. So here's my first page in the journal, I hope you enjoy. I have a tutorial on how I created this page on youtube which I will link at the bottom of this post. Again, thanks for dropping by and I hope you enjoy! You also can find my tutorial on the Scraps of Darkness forum under Pandora's Box Tutorial. You have a very unique style! Its always so neat to see the wide range of styles that everyone have. Great work! Thanks so much for stopping into my blog and becoming a follower. I very much appreciate that. I came across your blog from the Scraps of Elegance blog hop and I am impressed, you have a really nice blog here and great projects.Thanks for sharing them. Have a great day. 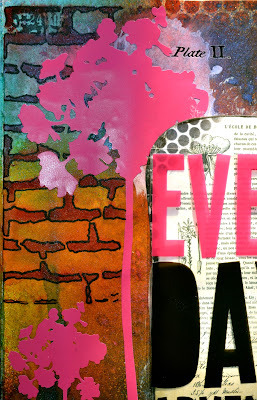 I came across your blog from the Scraps of Elegance blog hop. 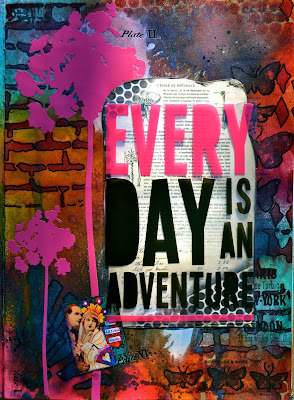 Hi there, I came across your blog from the Scraps of Elegance blog hop...I think I'll stay and look around a bit. Love your use of color. Nice work!